For over 43 years, The Melting Pot® Restaurants, Inc., the world’s premier fondue restaurant and a leading polished casual dining franchise, has helped redefine dining out by creating unique interactive experiences that shape moments and memories for couples, families, and friends. Today, The Melting Pot announced that as part of the legacy brand’s evolution, the new restaurant design and interactive experiences will do the same, plus much more. The Melting Pot you have always loved keeps on getting better. As part of the restaurant’s new vision, The Melting Pot will tailor design elements and menu offerings for new locations opening and at locations seeking to relocate or remodel. The new design evolution reflects what is most important to their guests, enjoying exceptional food and beverages in an engaging, fun atmosphere. The legacy brand has broad appeal with multi-generational guests and this interactive experience is sought out and embraced by boomers to centennials. The Melting Pot first introduced guests to the restaurant’s new vision when they opened in Red Bank, New Jersey at The Galleria in late June. 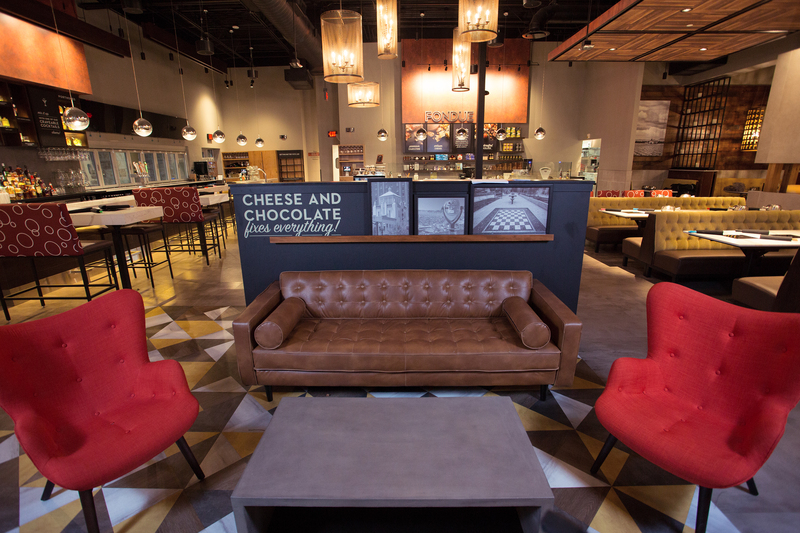 Today, the second of its kind will open in El Paso, Texas at the Fountains at Farah. This is the first Melting Pot to open in El Paso. Late fall, Pittsburgh, Pennsylvania will reopen in a new location with elements of the new brand design. “This is an exciting time in the history of the brand when we have recreated ourselves and we look forward to sharing it with our guests in communities across the country as we continue to expand,” said Lester. Visit our Multimedia Library to view photos and b-roll of the next generation Melting Pot. The Melting Pot has more than 115 restaurants in 34 U.S. states, Canada, Mexico, and The Middle East. Additionally, there are more than 17 international locations in development. 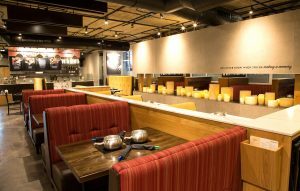 The concept is known for offering an assortment of flavorful fondue cooking styles, including the new grill cooking style, and a variety of unique entrées served with signature dipping sauces. The menu features a variety of à la carte selections, highlighting customizable options that invite guests to enjoy one, two, three, or more courses as they select any combination of individually-priced cheese fondues, salads, entrées, and chocolate fondues. Founded in 1975, The Melting Pot has offered a unique fondue dining experience for more than 40 years. As the premier fondue restaurant franchise, The Melting Pot Restaurants, Inc. has more than 115 restaurants in 34 U.S. states, Canada, Mexico, and The Middle East. Additionally, there are more than 17 international locations in development. Known for offering a choice of fondue cooking styles, including the new grill cooking style, and a variety of unique entrées, The Melting Pot’s menu also features cheese fondues, salads, fine wines, and chocolate fondue desserts. Fondue fans can join The Melting Pot’s Club Fondue for exclusive promotions, special events and advance holiday reservation privileges. The Melting Pot is an affiliate of Front Burner, a restaurant management company headquartered in Tampa, Florida. For more information, visit www.meltingpot.com. To learn more about franchise opportunities with The Melting Pot, please visit www.meltingpotfranchise.com.